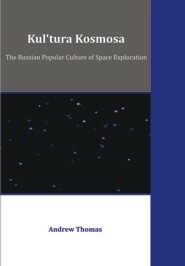 This thesis argues that there is a popular culture of space exploration characteristic of a wider Russia; its roots lie in pagan times and it grew through Orthodox Christianity and Soviet Communism to the twenty-first century, where it is actively promoted by Russia and neighbouring nations. The key influences stem from Nikolai Fedorov, Kontsantin Tsiolkovsky, Friedrich Tsander and Yuri Gagarin. The narrative of the twentieth-century Soviet space programme is considered from this perspective and the cultural importance of Tsiolkovsky to this programme is acknowledged. This is an alternative perspective to the commonly-held Western view of the "Space Race". The manipulation of imagery and ritual of space exploration by Russia and other neighbouring nations is examined, and the effect on the "collective remembering" in modern Russia of key events in Russian space exploration is tested.